This easy to stitch needlepoint design is hand-painted on 13 mesh canvas and features a colorful bunting bird. The needlepoint design measures approximately 12" x 8.5". This Charley Harper needlepoint is sold canvas-only or with your choice of threads. We use DMC cotton floss, or Planet Earth wool and silk fibers. If you wish to purchase stretcher bars we recommend a pair of 16" and a pair of 12" plus some thumb tacks. 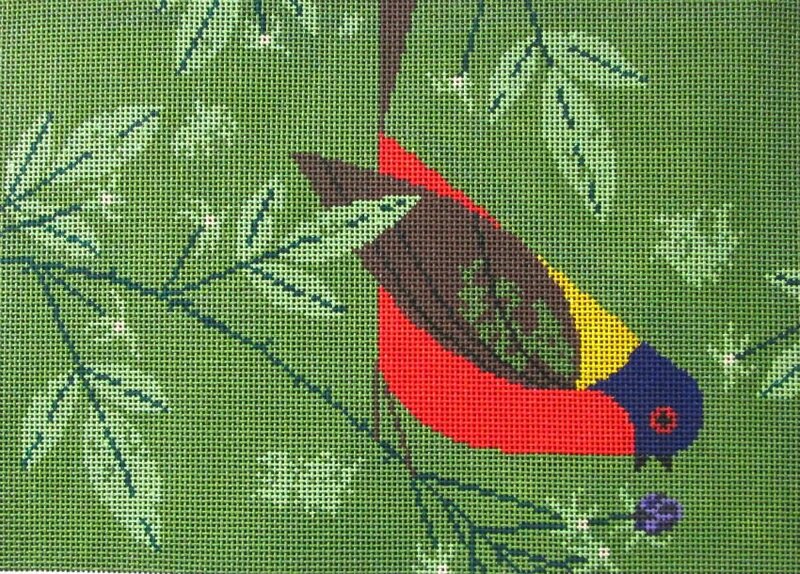 This Painted Bunting Charley Harper needlepoint canvas usually ships in a few days. If you are in a hurry you can always check availability with us before you order.